We invite you to meet our caring, able Veterinarians. 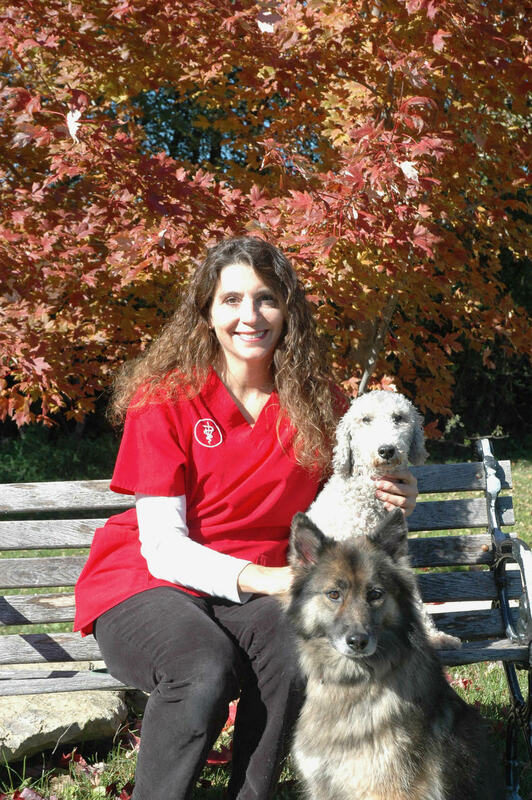 Laura has been a practicing veterinarian since graduating from the UW College of Veterinary Medicine in 1994. She received a B.S. degree in animal science with a chemistry minor from UW-Madison in 1984. While an undergraduate, she initiated a six-month study on a ranch in Australia where she fed and showed cattle in the Perth Royal Show, and assisted in the birth of lambs and helped shear the 5,000 sheep. Following graduation, Laura moved to Nebraska where she sold pharmaceuticals to veterinarians for four years. Although in her high school days, she had volunteered at an animal hospital in her hometown of Stevens Point, shadowing the veterinarian and the technicians, it was the Nebraska experience that made her realize that she would not be happy unless she returned to school to study veterinarian medicine. In veterinary school she was presented with the outstanding student in surgery award. Even today she particularly enjoys the surgical part of her practice. She was chosen by her peers to attend the Purina Leadership Conference in St. Louis. In 1998, she opened Pineview Veterinary Clinic on Division Street in Waunakee. In 2006, she completed the modern timber-framed Pineview Veterinary Hospital and Pet Resort, on Highway K near Waunakee. Laura stays current with advancements in veterinary science and procedures through publications and membership in the American Veterinary Medical Association and Wisconsin Veterinary Medical Association. She attends seminars at UW-Madison and the North American Veterinary Conference. Laura has two dogs, Hugh and Foxy, and three sibling cats: Shoes, Tapper, and Drifter. Julie chose veterinary medicine because of her love of animals. She says it gives her great joy when she can relieve an animal's suffering. "I enjoy the challenges of complex medical cases. I strive to be progressive and do whatever I can to make animals more comfortable, and to educate clients." Even at the age of six, Julie aspired to be a veterinarian. That ambition was put in motion when she received a B.S. degree in biology and psychology from UW-Madison, and subsequently, Doctorate of Veterinary Medicine from UW-Madison. Julie's interest in holistic medicine led her to study veterinary acupuncture through the International Veterinary Acupuncture Society. She has been using acupuncture for more than six years to treat a variety of conditions. She has found acupuncture to be another tool to alleviate pain and help heal patients. Julie has two Labrador retrievers, Mya and Kona, and two cats, Sam and Fletcher. Dr. Chad is a graduate of the University of Missouri School of Veterinary Medicine. He pursued his undergraduate studies at UW-Platteville. As a Waunakee High School student, Dr. Chad worked in Pineview's kennels, and returned this year as a veterinarian. Having grown up here, Chad especially enjoys serving the Waunakee community. Chad has a number of hobbies: fishing, hunting, camping, snowmobiling, and watching the Packers and Badgers play. He has a cat, Squeakers.